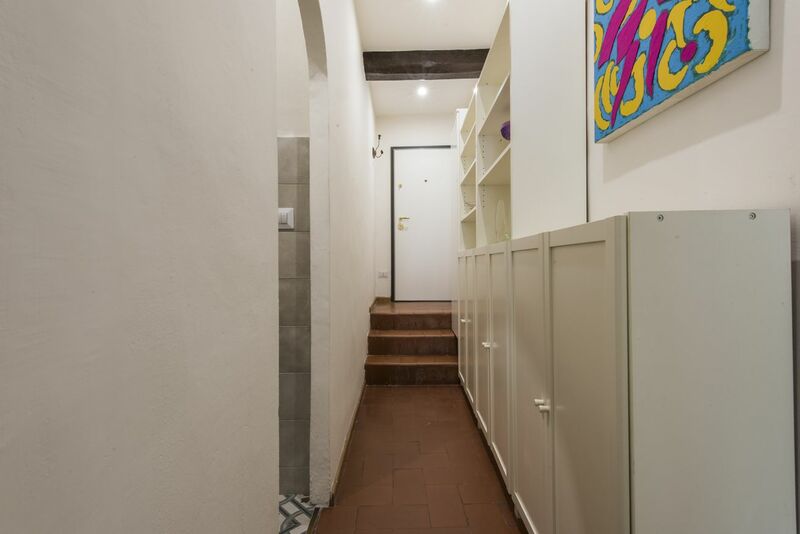 The apartment is located in a historic building of the '400, and is very quiet. 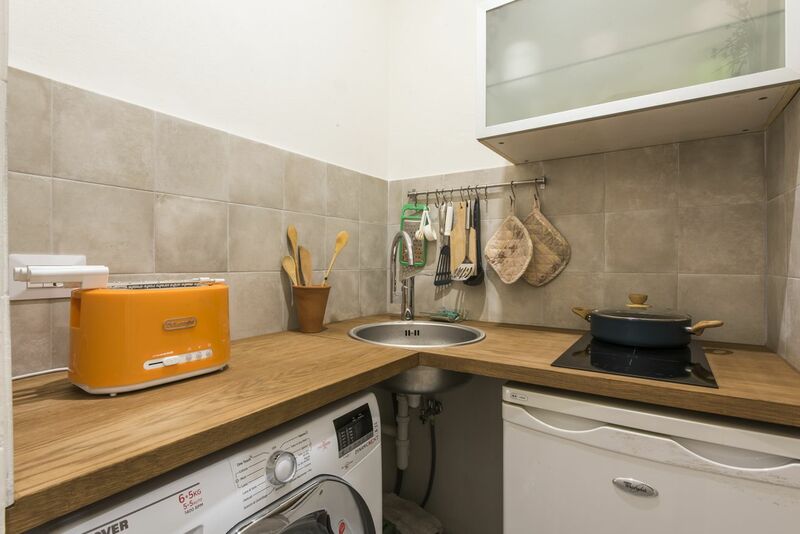 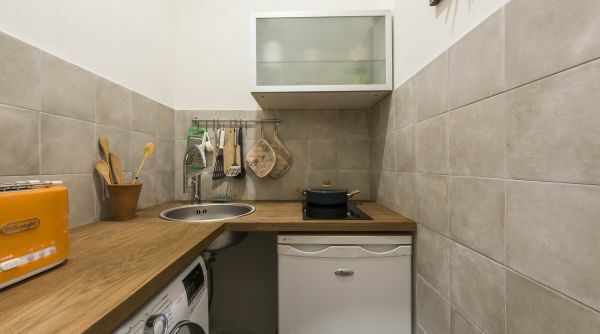 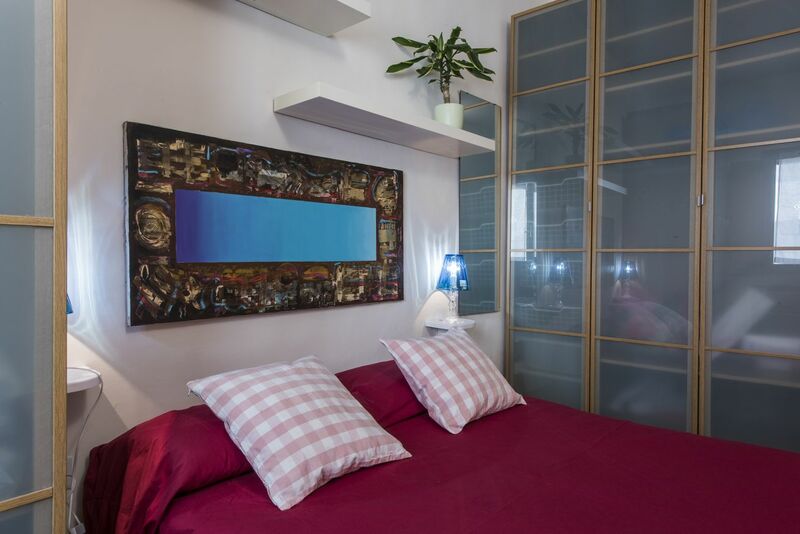 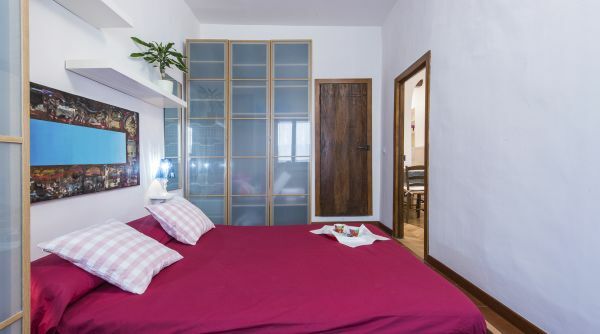 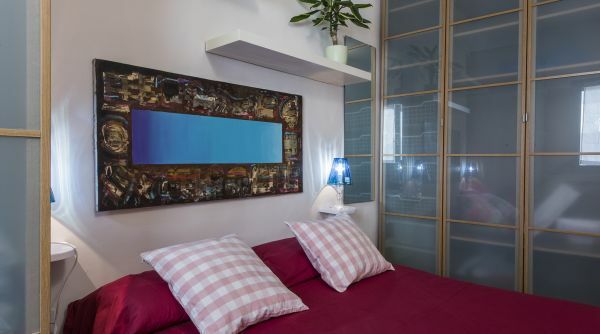 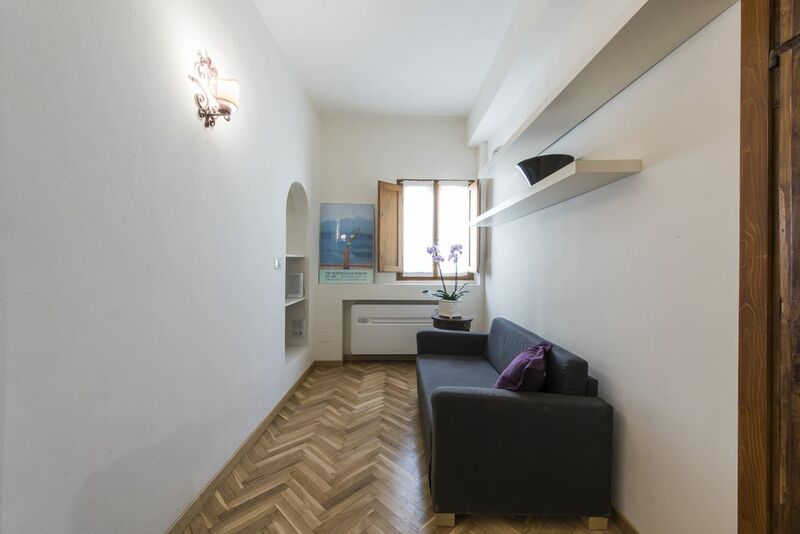 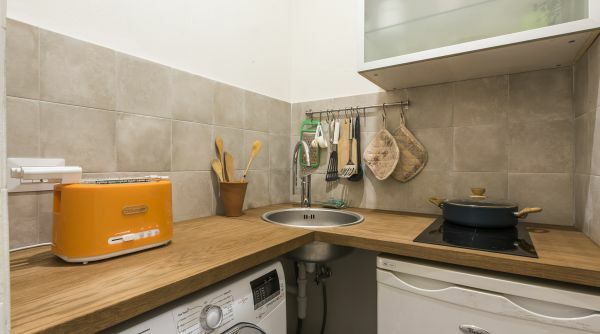 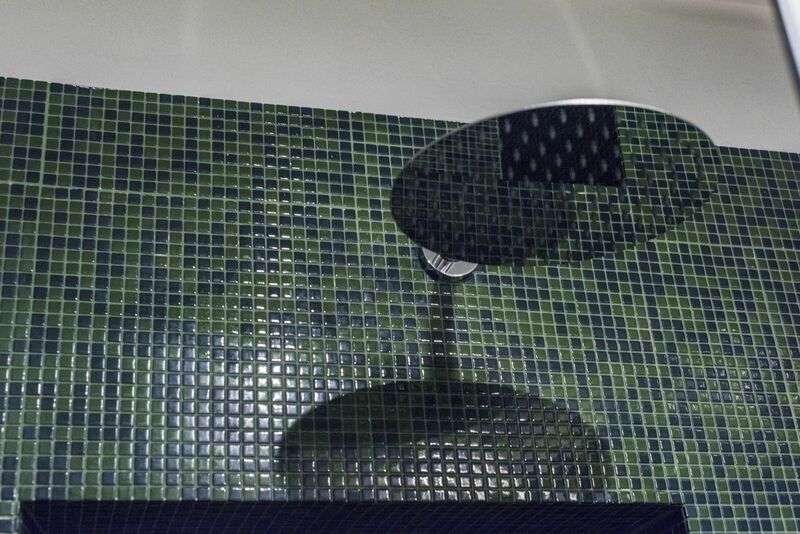 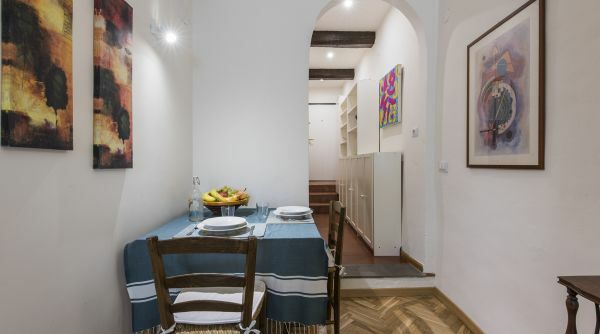 Located on the 2nd floor, with a double bedroom and a bathroom with shower, in a fantastic area of Florence, a few steps from Piazza Santa Croce. 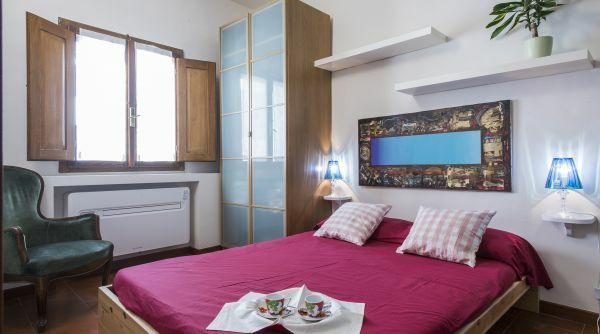 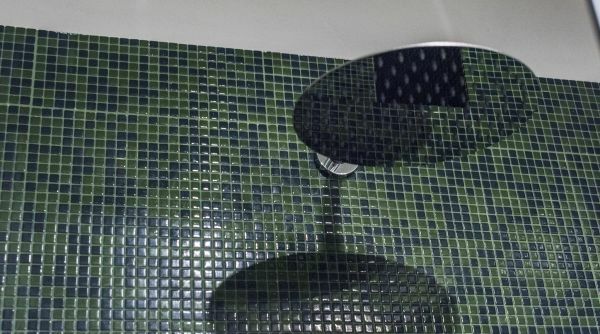 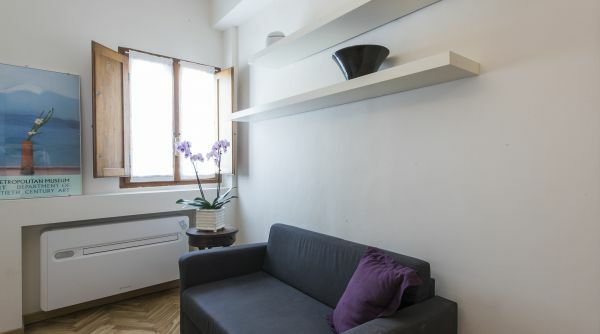 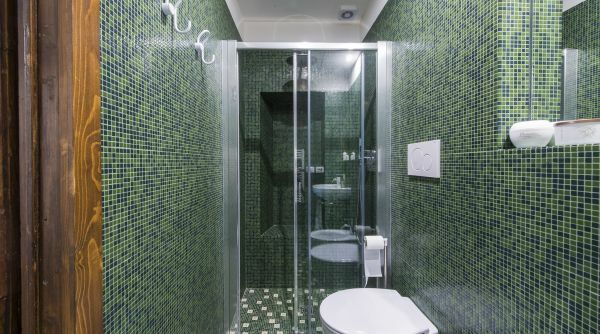 Renovated in 2018 is a very good option for spending a pleasant time in the city of Florence. 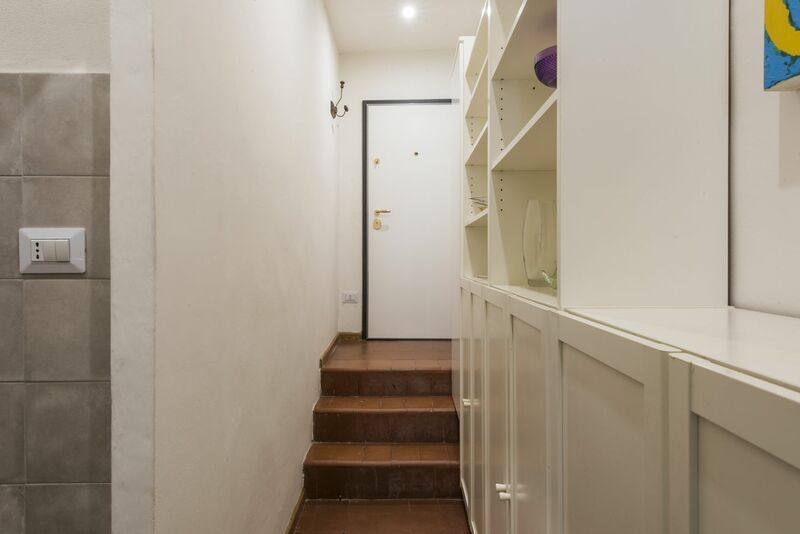 The entrance leads to a corridor, on the right hand side there is the kitchenette, equipped with washer dryer, refrigerator, and microwave. 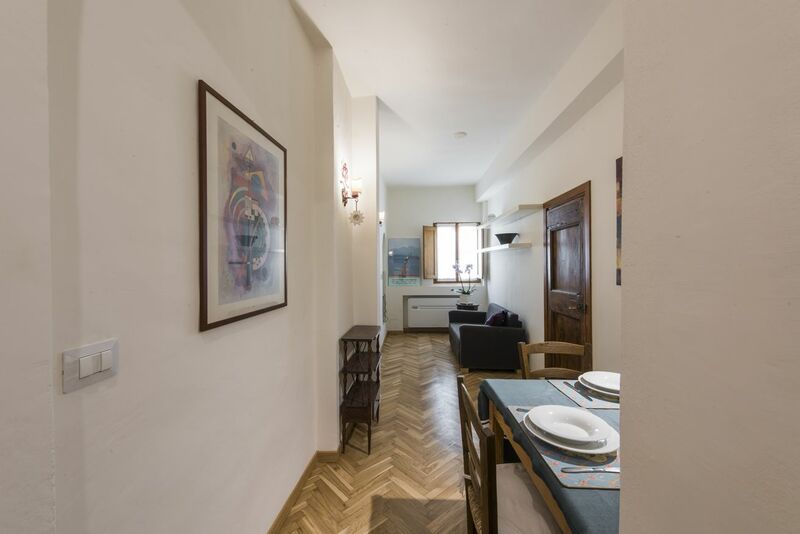 Down the corridor you will find the cozy living room, furnished with a table for 2/4 people, a sofa bed and a TV connection. 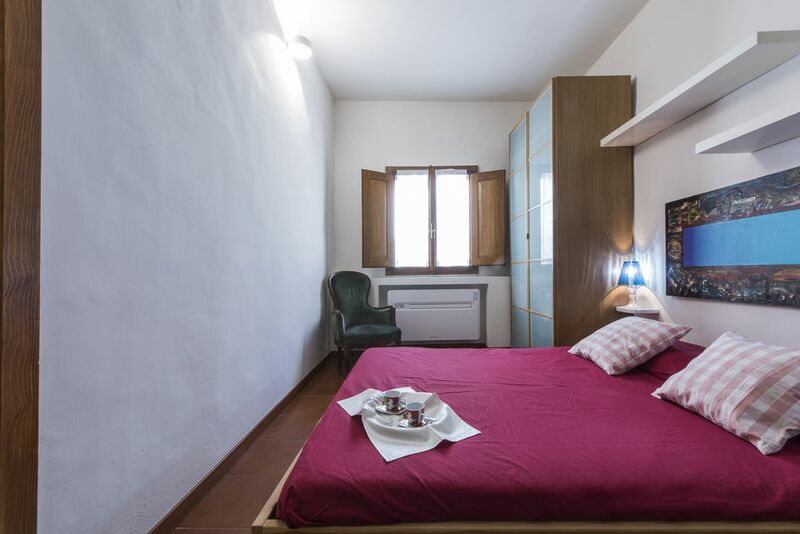 On the right we have a double bedroom, with a comfortable bed and two wardrobes. 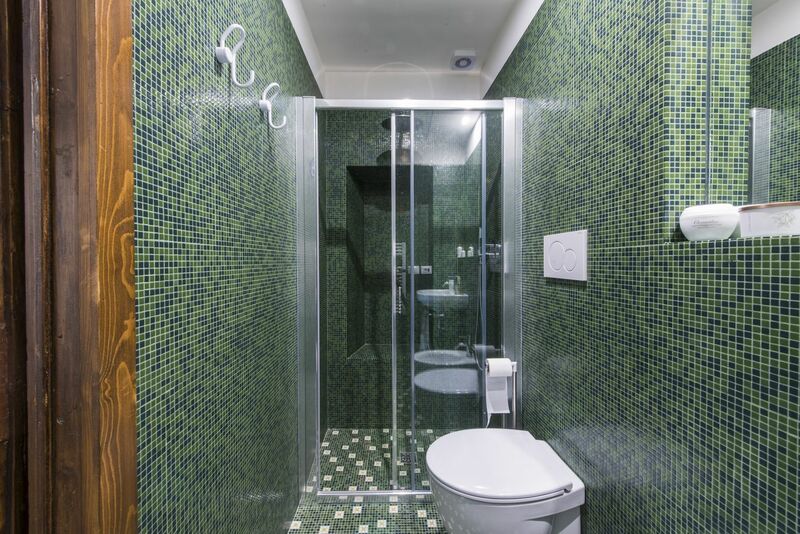 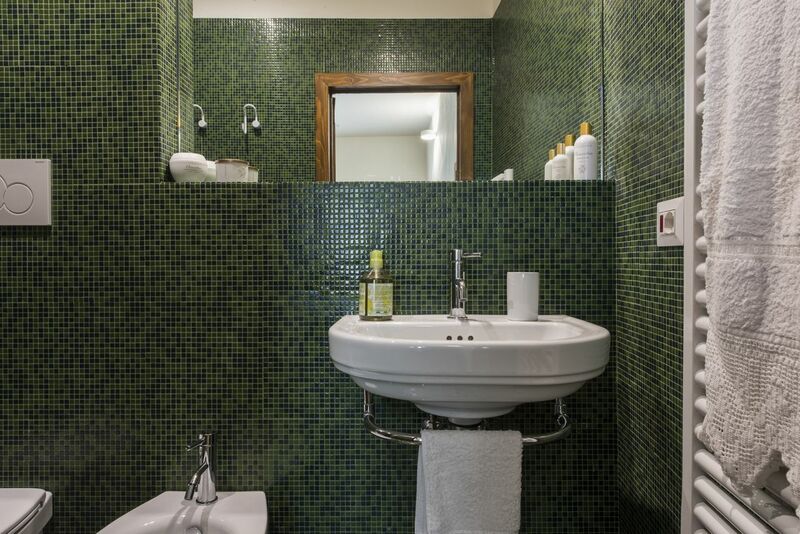 The bedroom has an ensuite bathroom equipped with a shower and all the necessary comforts. 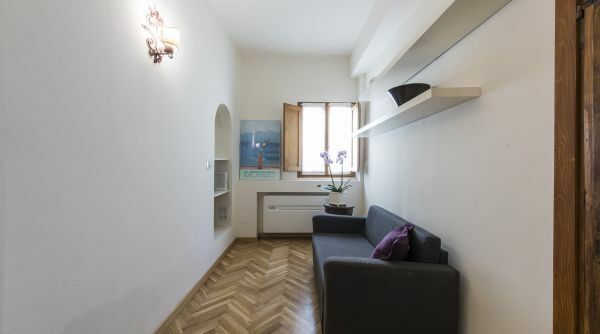 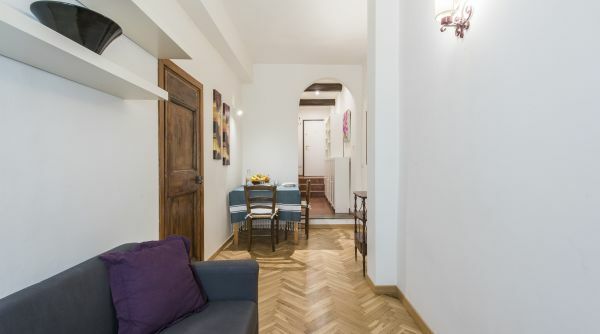 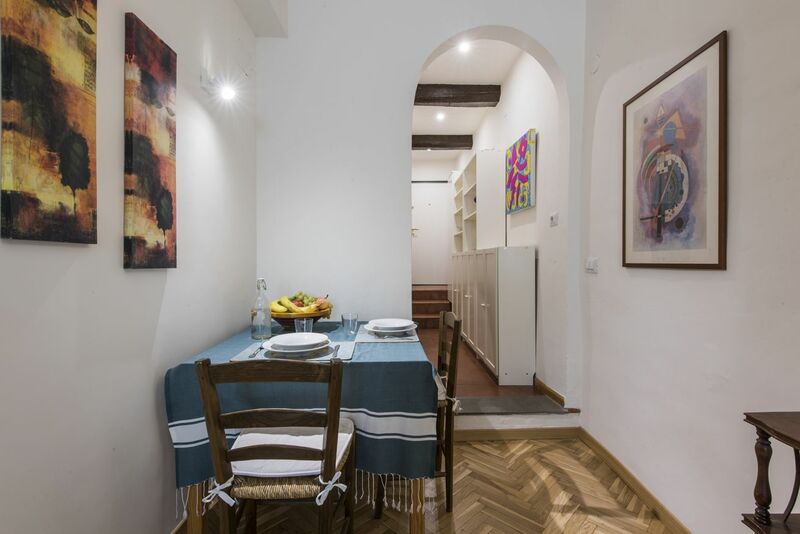 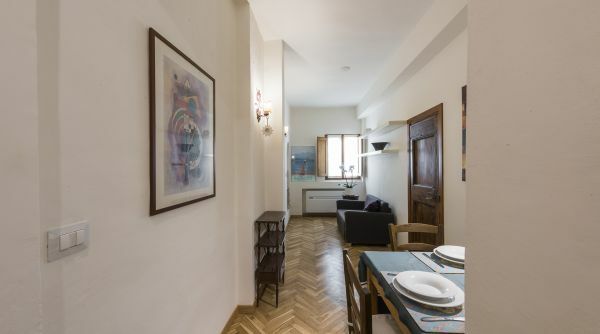 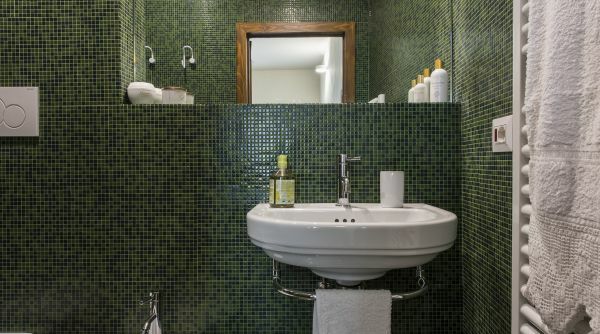 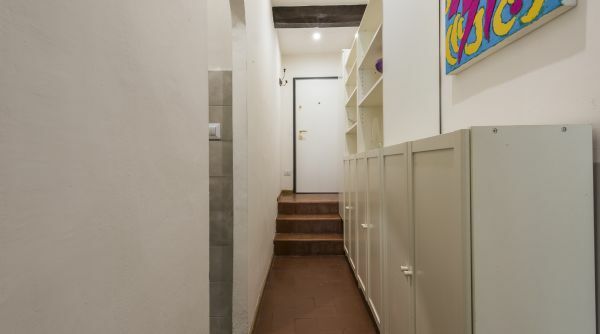 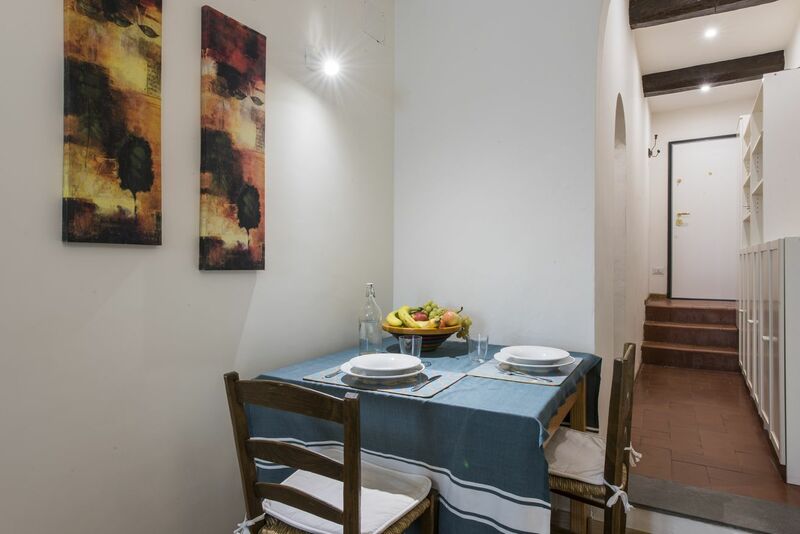 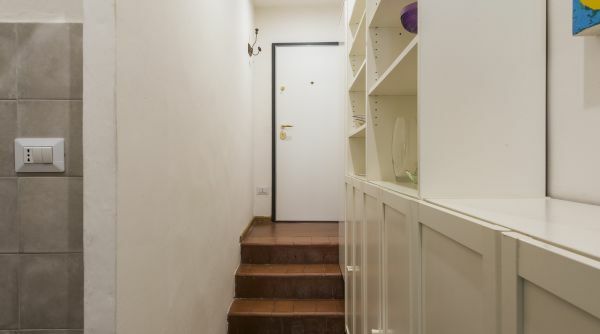 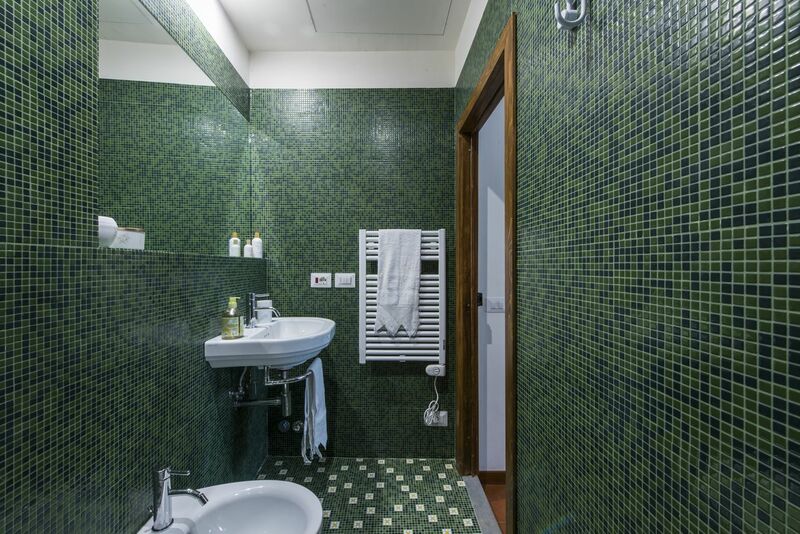 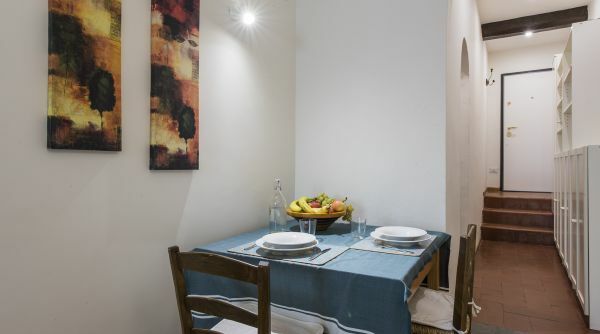 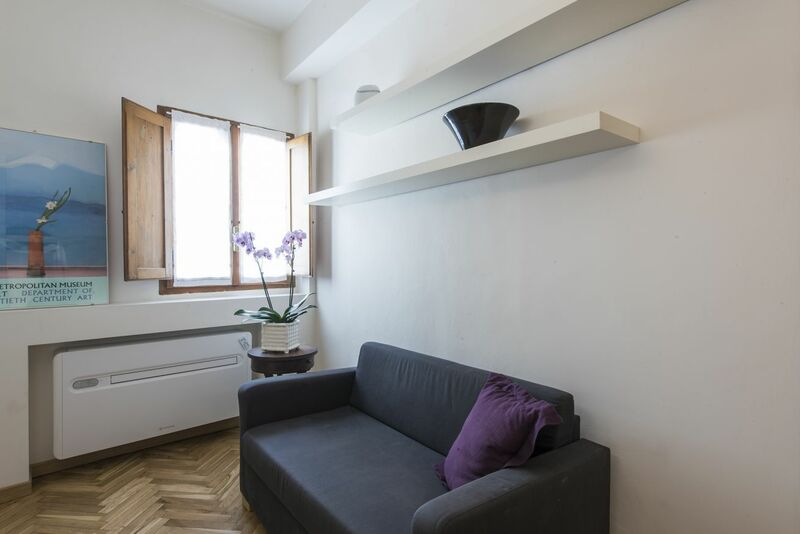 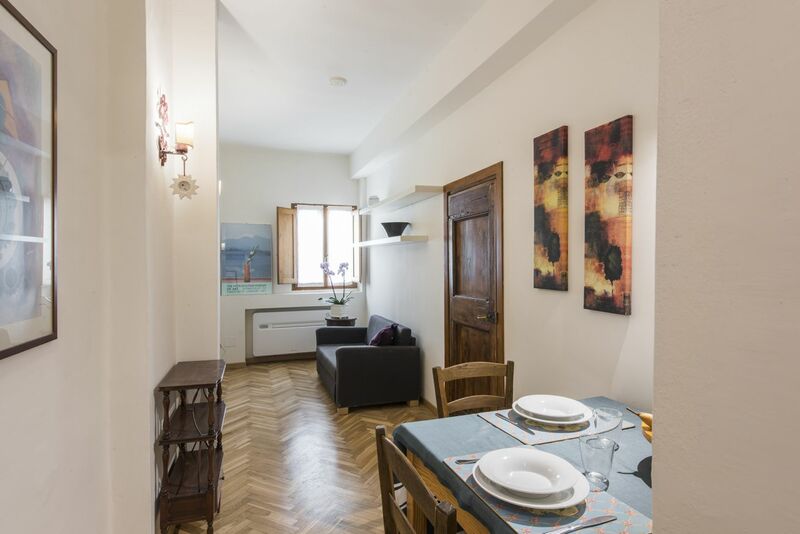 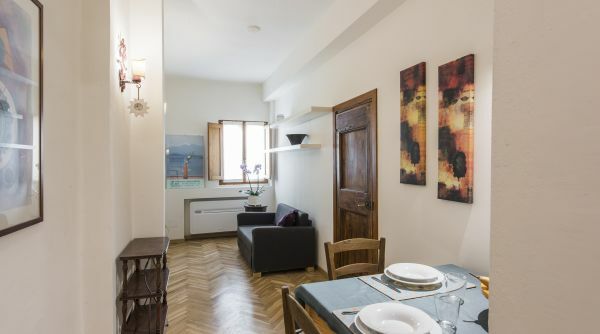 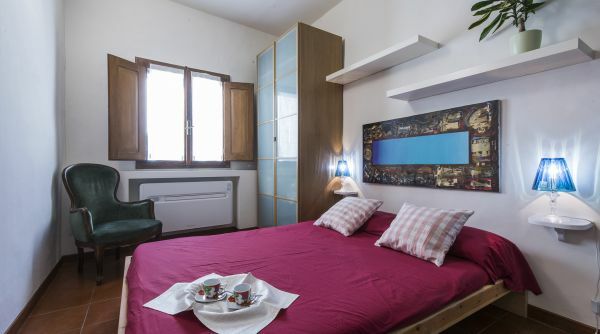 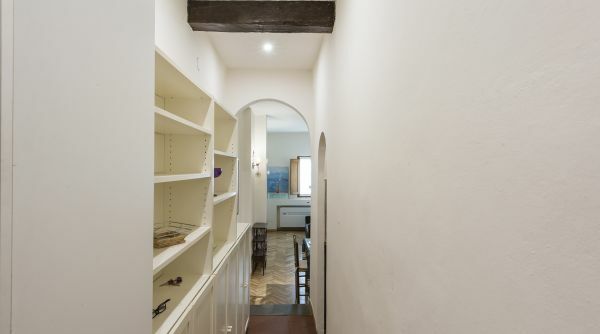 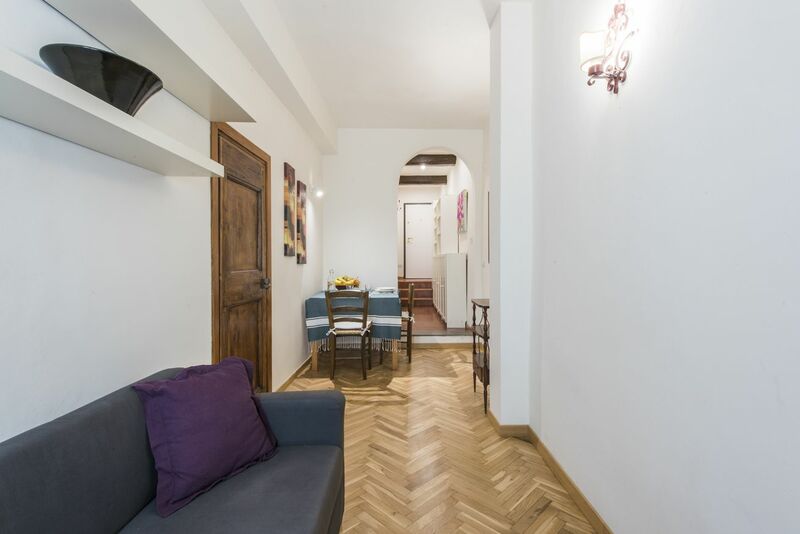 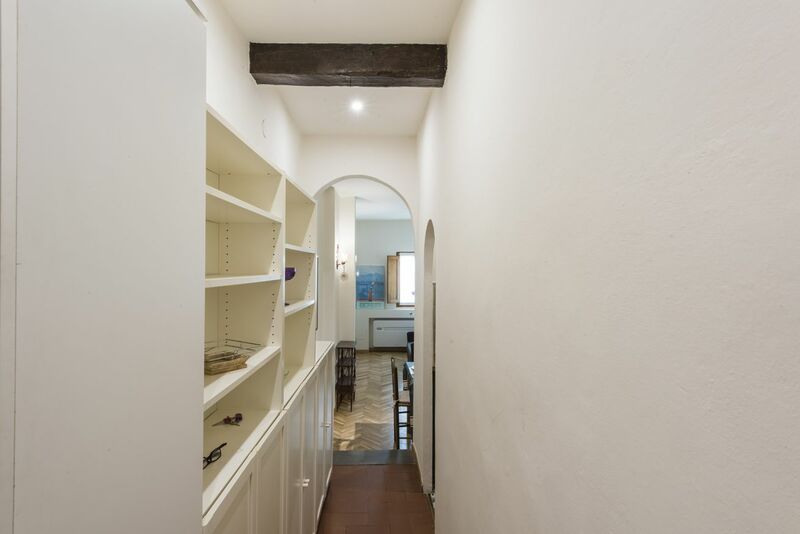 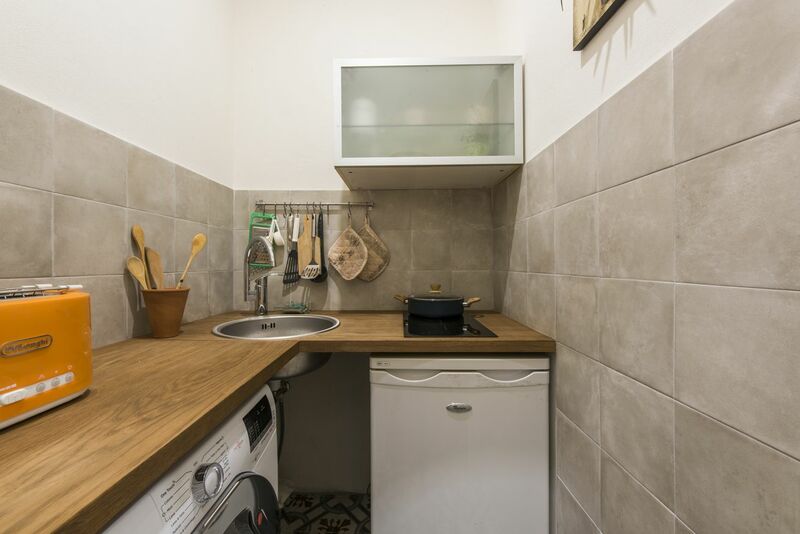 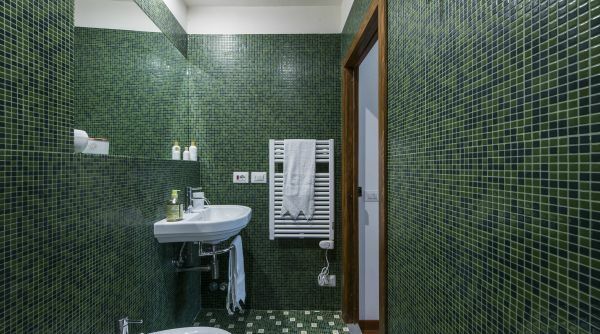 Casa Tina is located very close to the famous Enoteca Pinchiorri, Cibreo Ristorante and Teatro del Sale restaurants, the Sant'Ambrogio Market, Palazzo Vecchio and various Florence Museums, and only ten minutes from the Duomo. 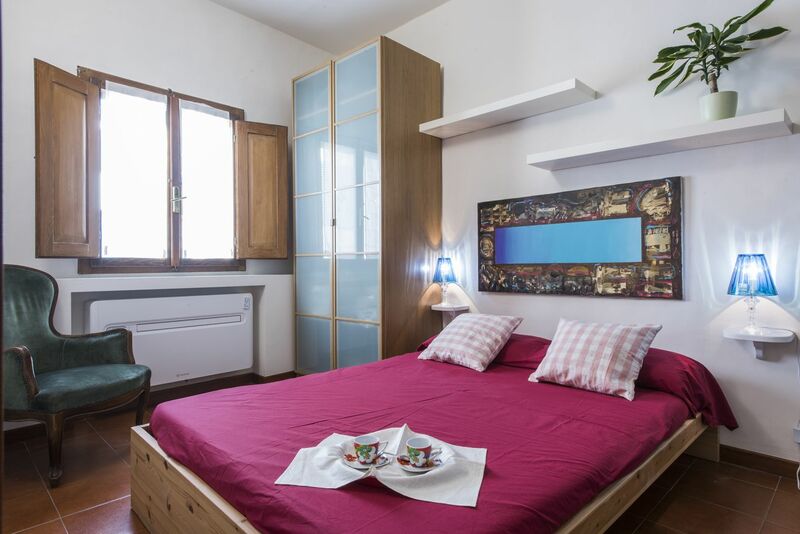 It is a fantastic choice for your holidays or a longer stay.